Reagent arachidonic acid. 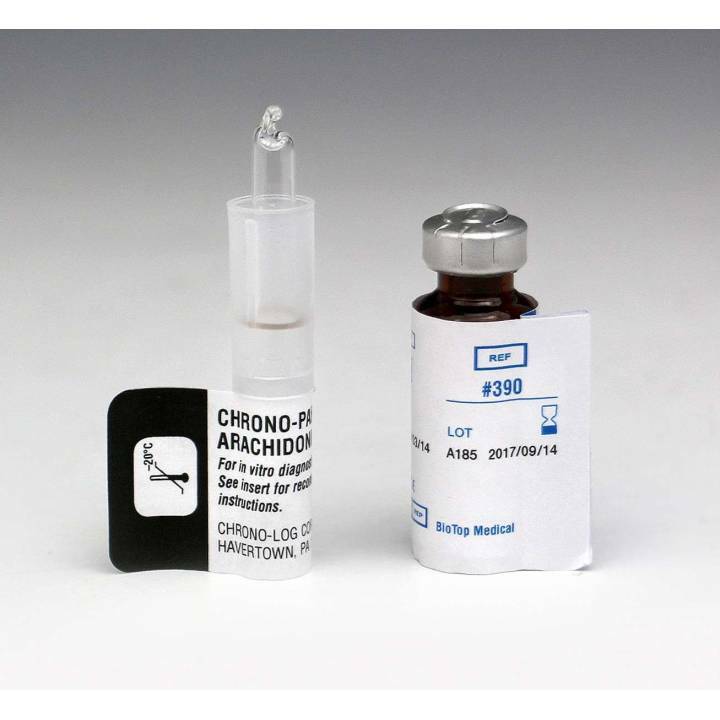 Each vial with a minimum of 10 mg of arachidonic acid. Purity higher than 99%. Performance 70 to 140 tests of PRP or whole blood. Includes vial with 100 mg of albumin, and bovine fraction V powder (96% to 99% purity). To request a quote including packaging and shipping to their facilities in info@galileoequipos.com or by calling 911923737.